What if you are on a remote location and as a developer or team member of the project, you might want to access your remote server? Also, if you are using hosting service then you must be accessing your server remotely on a regular basis. In this case, you might hear or using one of many remote desktop software. Desktop applications have been limited by the hardware on which they are run. They must be developed for and installed on a particular operating system and may have strict hardware requirements that must be met to ensure that they function correctly. 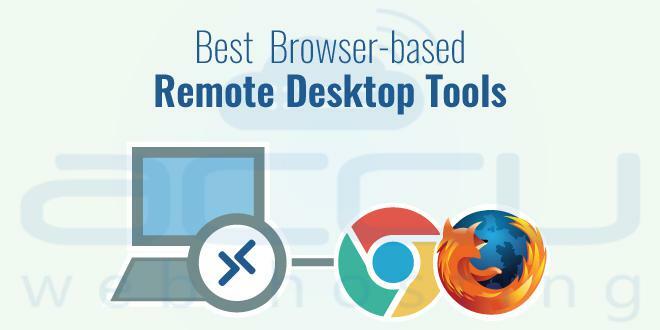 So, in this article, we are recommending you 3 best Remote Desktop Web-based Tool for them you don’t need to depend upon on any particular hardware or OS. 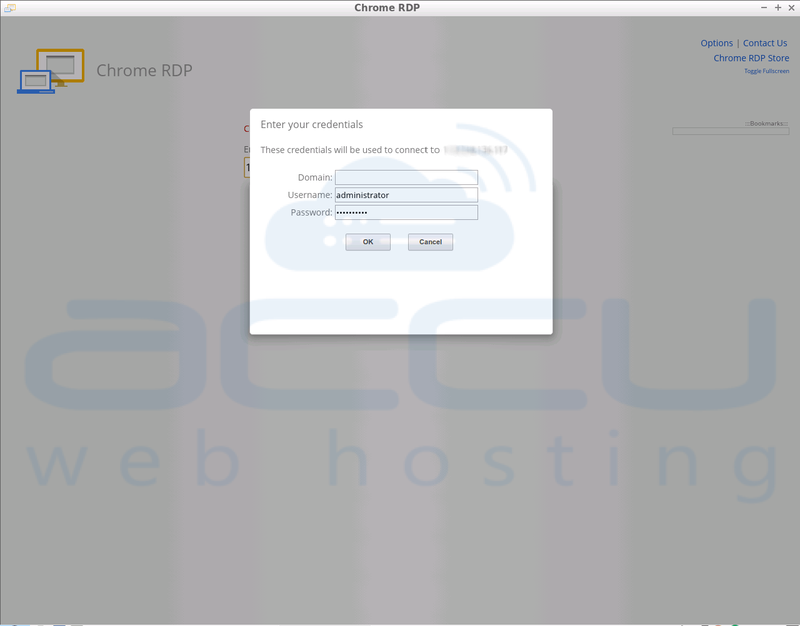 Chrome RDP is a Microsoft’s Remote Desktop APP available as an extension on chrome browser only. In Chrome RDP, both standard RDP and SSL encryption are supported. Simply enter the address of the remote machine and connect. Open chrome browser. 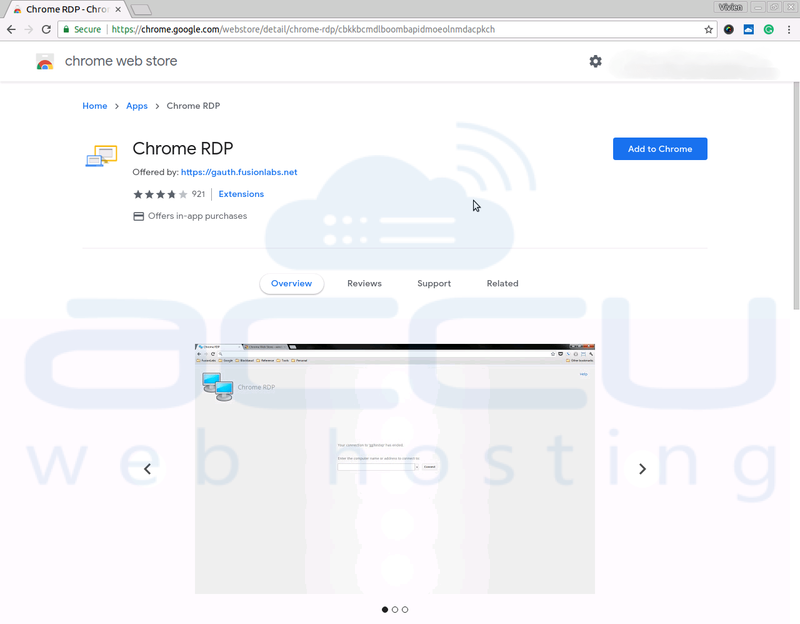 Go to Chrome Webstore and Search Chrome RDP. 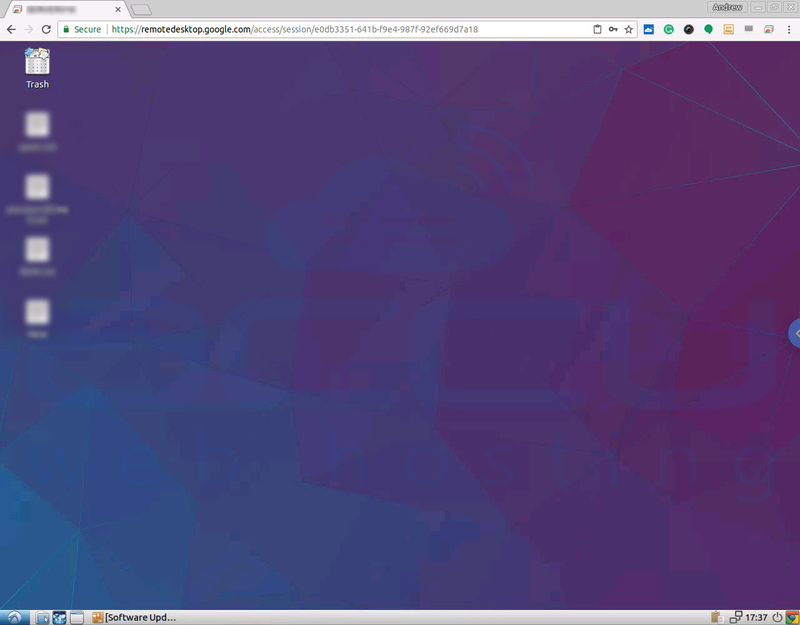 Open the Chrome RDP from Google App Launcher. 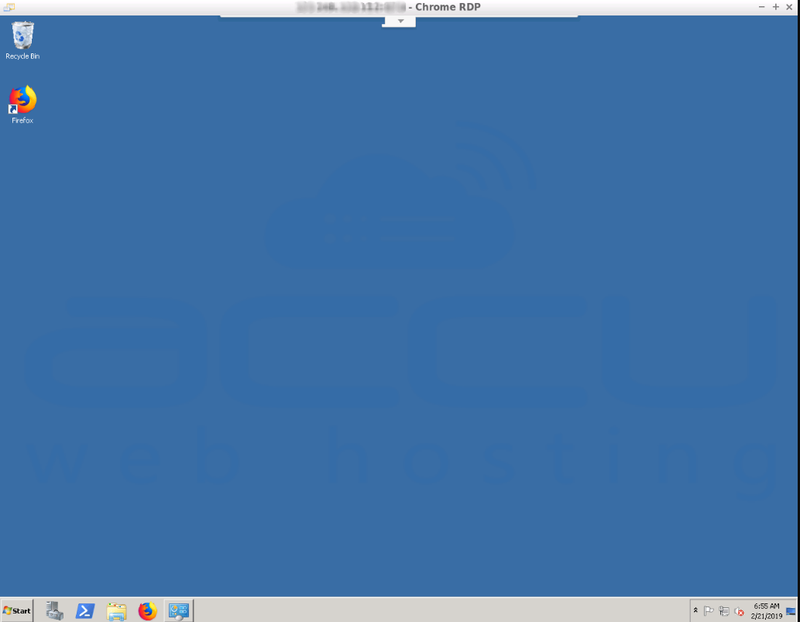 Then the only thing you need to enter is the IP address of a remote computer and port number if you have set any particular port number for RDP connection. For example, see below. Then you will be asked to enter the Username and Password. Then click on OK button. The desktop of the remote computer will appear in your browser. 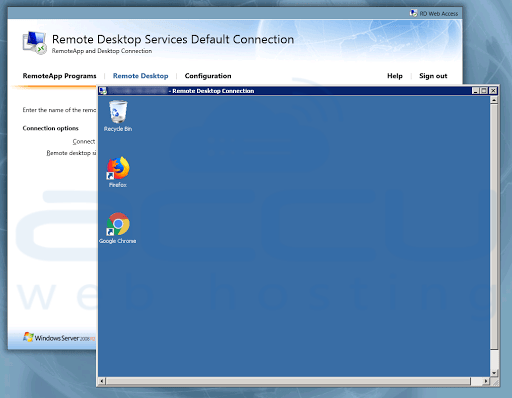 Chrome Remote Desktop is one of the best remote access application available for free. 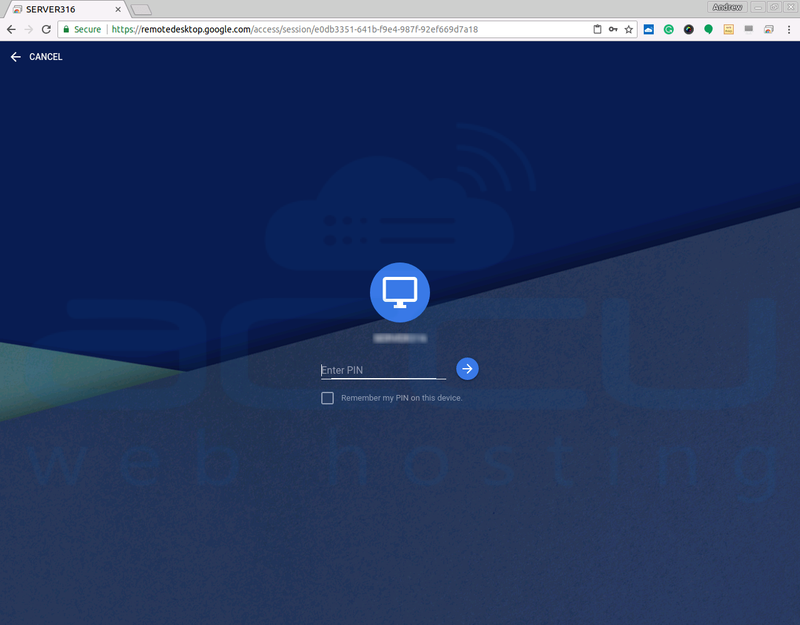 It is very easy to set up, use and provide a secure connection to your remote server. Chrome Remote desktop includes great features like live audio feed that mean you can enjoy music from your remote desktop computer. You can easily copy and paste files from your remote desktop computer to your local computer. What if you immediate needed files from your remote server and there is no access to desktop computer around you? 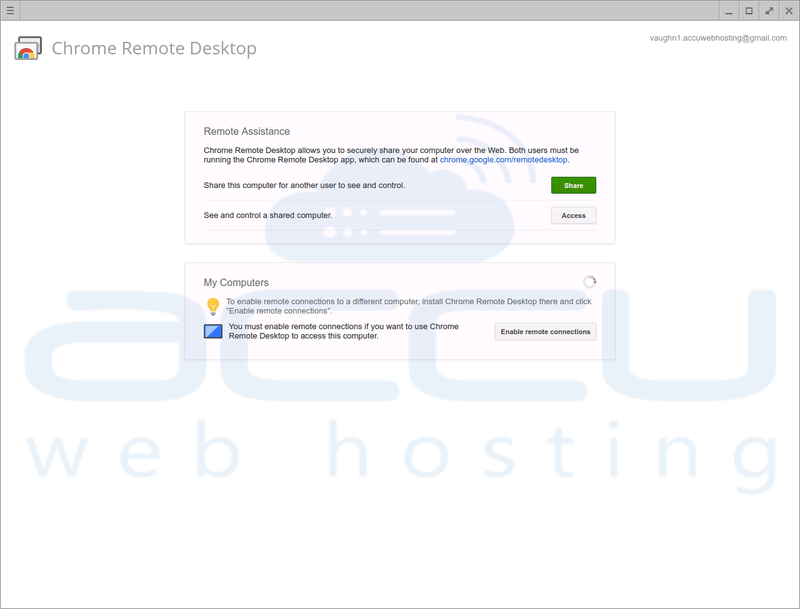 So, that’s why Chrome Remote Desktop also released the Chrome Remote Desktop App for Android. Open Chrome Webstore and search the Chrome Remote Desktop in Download the APP and allow it access to your computer. 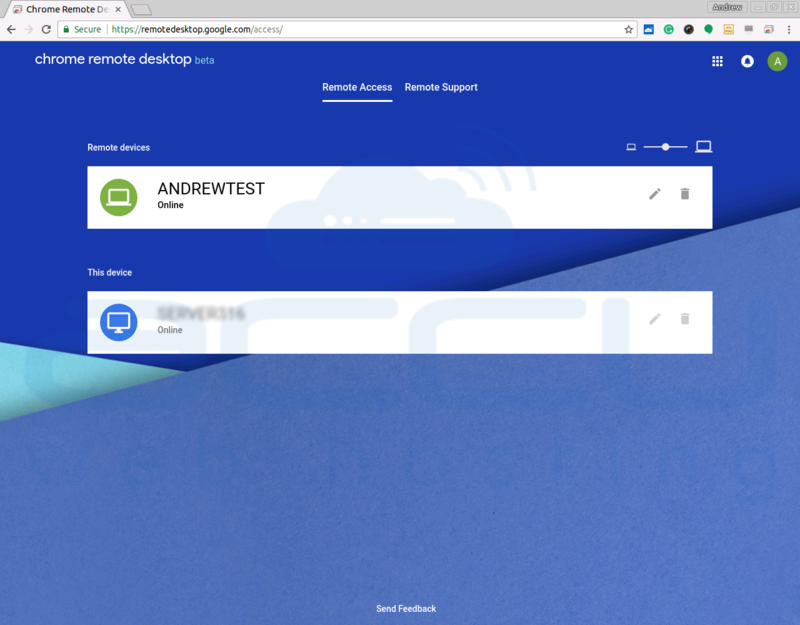 Open the Chrome Remote Desktop from Google App Launcher. You will find two option, one for user-to-user screen sharing and second to access your computer from another machine. 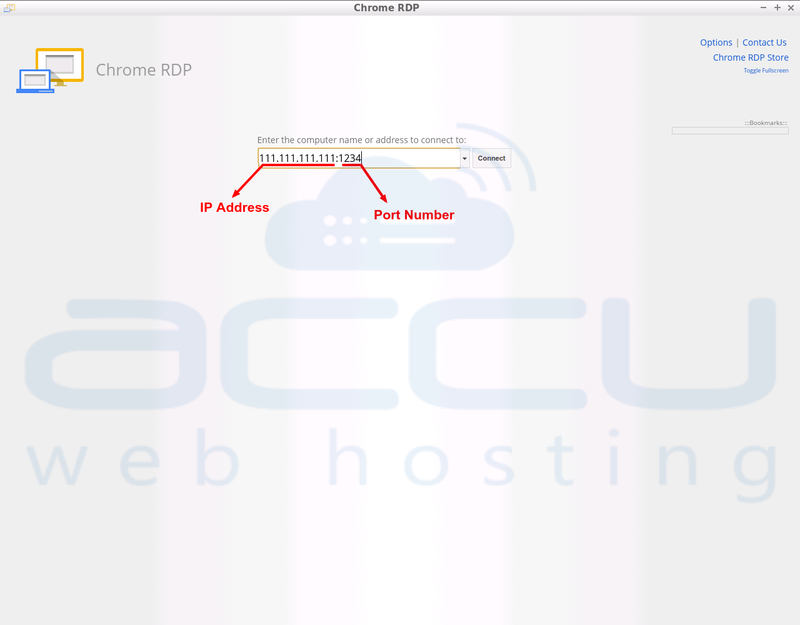 To add your computer in Chrome Remote Desktop, so you will be able to access from anywhere using the below steps: i) Click Get Started under My Computer. Then add your computer by clicking Enable Remote Connections. Chrome will start downloading Chrome Remote Desktop Host Installer and after download install it. ii)Then you will be asked to set up the PIN. The PIN will be required to access your computer from another location. Once you set up the PIN then you are ready to access your computer from a remote location. Sign in to Google from where you want to access your Google. Then Enter this URL and you will see the option to connect your computer like below. Then Enter the Pin to access your server. Click Enter once you enter the PIN. The third option is offered by Microsoft. 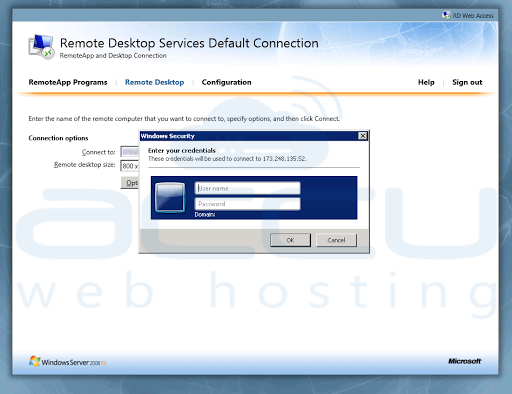 Microsoft’s Remote Desktop Web Client let’s access your remote desktop server through a compatible web browser. Over the past few years, Microsoft has extended RDP support to several platforms. 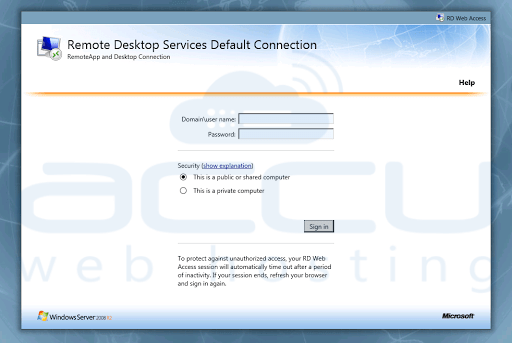 Once the web client is installed, users can choose to use instead of traditionally RDP client. 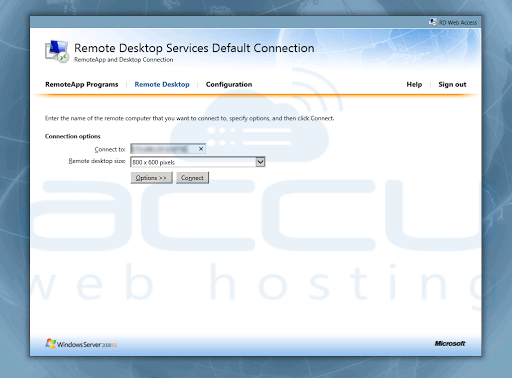 The setup process is slight lengthy and includes many steps which are covered in Microsoft Remote Desktop Web Client Guide. If you are using any other browser-based tools, please share with us. We will review and include it within our blog post. If you have any questions related to the above tools, please mention in the comment section below.